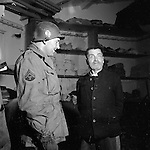 Al Mozell was a combat cinematographer in WW II during the final year of the war. 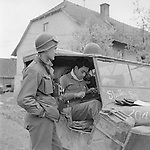 Traveling with the 71st Infantry Division he shot 16mm movie film to document the war for the Army. Some of this footage was released to the press. 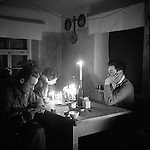 This small group of still photographs were taken by Mozell for his personal use during the closing months of the war.